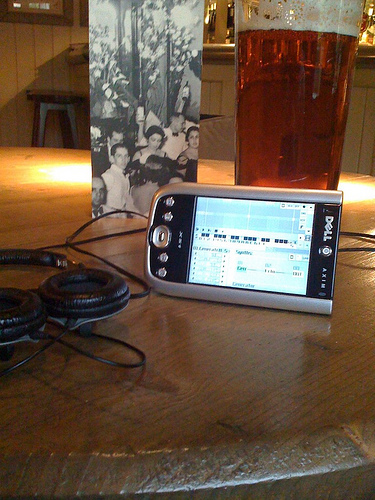 I don't do this so much now, but I used to walk about 4 miles home after work on a Friday and then stop for a pint and some Sunvox about a mile before the end of the walk. It was a great start to the weekend and I miss it. So when I stumbled over this picture I thought it was worth celebrating it again.